Harry Kroto is a chemist, professor, Nobel Prize winner, and the discoverer of the buckyball! Sir Harold Walter Kroto shared the 1996 Nobel Prize in Chemistry with Robert Curl and Richard Smalley for the discovery of the “buckyball”, the “molecule” shaped like a soccerball made of 60 carbon atoms. 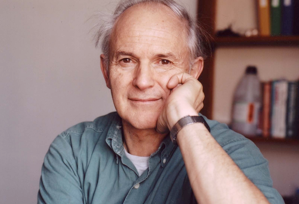 Originally from England, Prof. Kroto has been a Professor of Chemistry at the Florida State University since 2004. Image-credit:This image by James Hedberg is licensed under a Creative Commons Attribution-NonCommercial-ShareAlike 3.0 Unported License. What was your childhood like? When you were a kid what interested you about science? I spent my childhood in England. My parents came over from Germany in the late 1930s. My recollection is being a kid in the front room of my house and having an erector set to tinker with. My family was pretty poor, but I was lucky to get into a very good school where I was interested mostly in geography and art. My father thought I should do science but I still pursued my interests in art and received some awards for my graphics. So science was not always the first thing in my life, but I was encouraged to go to college by one of my chemistry teachers. I remember when I was a kid sending off for a kit to build a motor and then fixing things around the house that needed to be repaired. My father had a business making toy balloons—it was there that I learned some valuable problem-solving skills. Most of my studies were in science up through my Ph.D., but I did still find some time for art, playing the guitar and sports like tennis and soccer. You moved around a lot in your career and worked in industry as well as education. Which did you like better? I worked in science at a number of different places including a research laboratory in Canada. From there I moved to Bell Labs in New Jersey. At the time, Bell Labs was one of the best places to do research anywhere. There I worked on lasers and spectroscopy. After that, it was back to England to take a lectureship at Sussex. My salary dropped to about 10% of what I was earning at Bell Labs, but it was a chance to teach and do research. I also figured that if the science thing didn’t work out I could go back to graphic design or maybe go into educational science TV. So I have been lucky to do a bunch of different things and they have all been interesting and helped shape my life. What do you find exciting about nanotechnology? Nanotechnology is a pretty new science, kind of what chemistry was like 150 years ago. In fact, nanotechnology is like 21st- century chemistry. 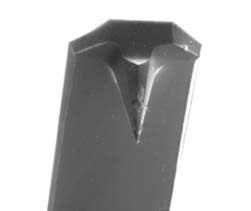 The thing that I find most exciting is the prospect for self- assembly. We humans are assembled from the bottom up, everything is coded in our DNA. Making things that can build themselves is very cool. 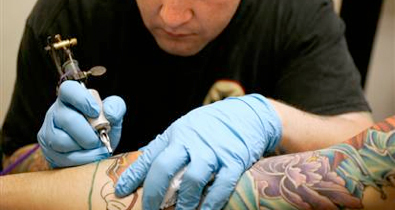 There is also some concern about how nanotechnology might be used for bad things. To tell you the truth, I am not really worried about that. I am more worried about all of the nuclear arms that a lot of countries have pointed at each other. Before you discovered the buckyball, did you know what it might look like? 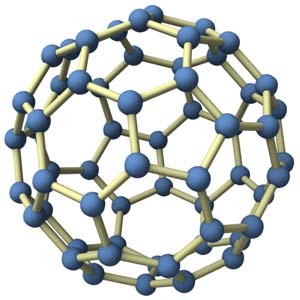 The discovery of the buckyball (C60) was like a lot of great science…total serendipity. There were a lot of people that contributed to its discovery, a few of which (myself, Robert Curl and Rick Smalley) got official recognition. Chemists at the time didn’t believe that this beautiful molecule could be made and made only from carbon atoms. In 1995 you won the Nobel Prize in chemistry. I heard that they called you up on the phone. Was it a surprise? I was very excited just to be part of the scientific discovery and winning the Nobel Prize didn’t make it any more exciting. On the day that they announced the Nobel Prizes, I went out to lunch with a colleague. He wanted to wait to hear the announcement, but I wanted to get something to eat. When I got back, there was a message on my answering machine. I didn’t have Internet access in my office so the news reached me by a colleague screaming at the top of his voice. You get nominated for the Nobel Prize, so it wasn’t a complete surprise, but for me it was because I never considered myself to be the smartest person around.